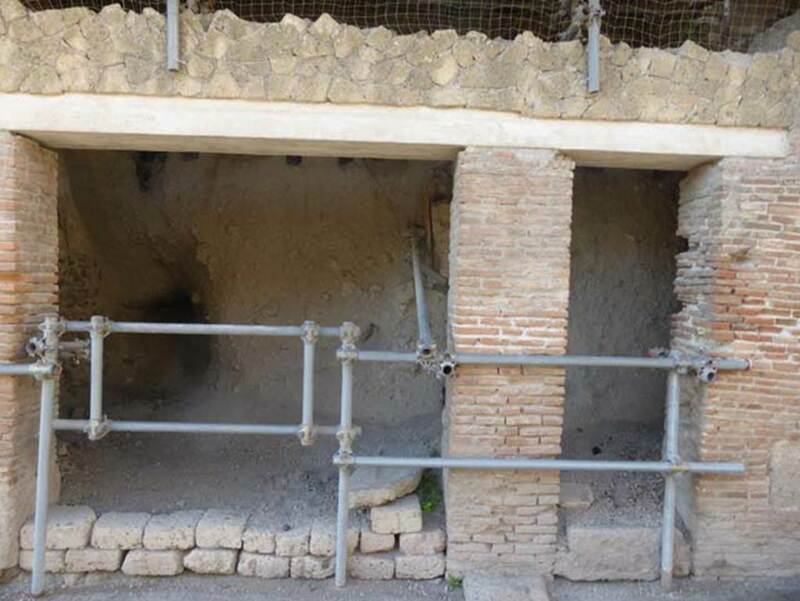 VII.11, on right, and VII.10 on left, Herculaneum, September 2015. Two doorways on west side of Cardo III Superiore. 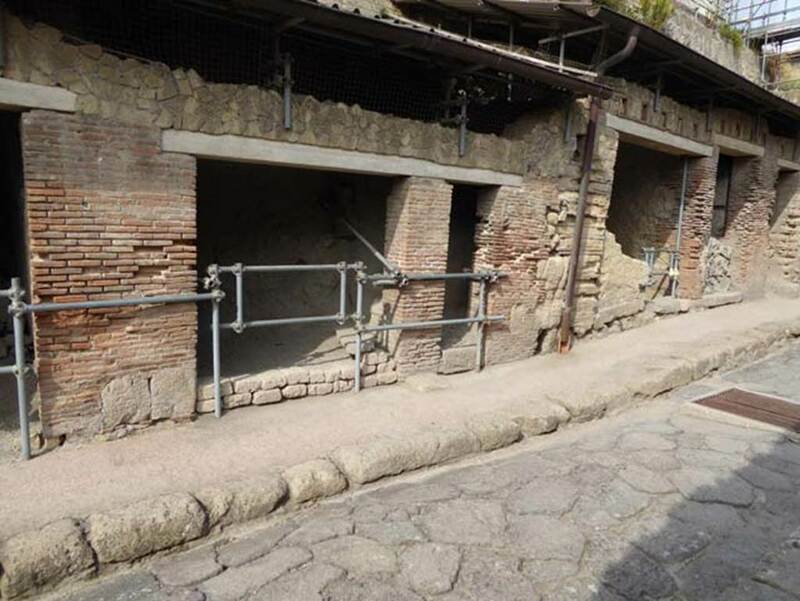 VII.10, on left, and VII.11, on right, Herculaneum, September 2015. Two doorways on west side of Cardo III Superiore. 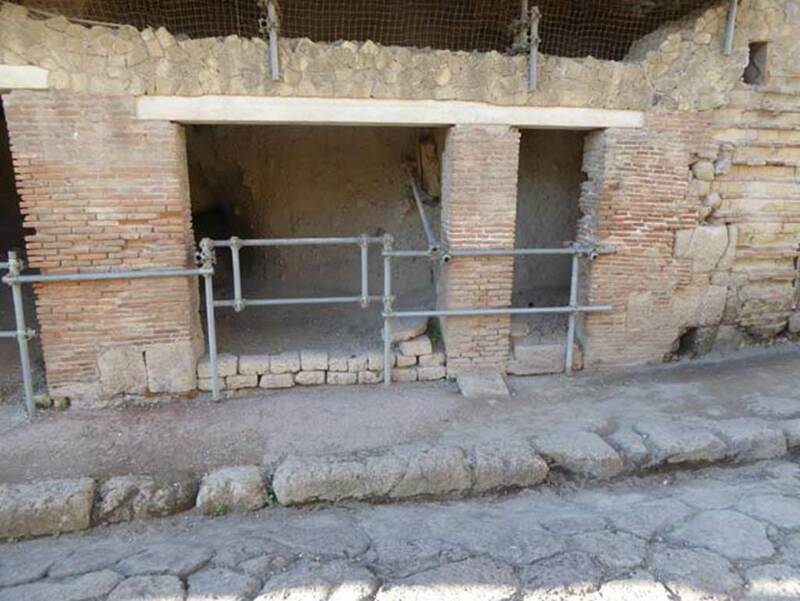 VII.9 on left, VII.10 and 11, Herculaneum, in centre, VII.12, 13 and 14, on right. October 2014.